Above the beautiful and historic village of Manchester, at the end of a long winding drive that climbs steadily before arriving at a surprisingly open and clear meadow, one comes upon the campus of this important center of the arts. A vital art school serves the area and beyond. It is accompanied by a small theater that fulfills its calling, with both players and music. 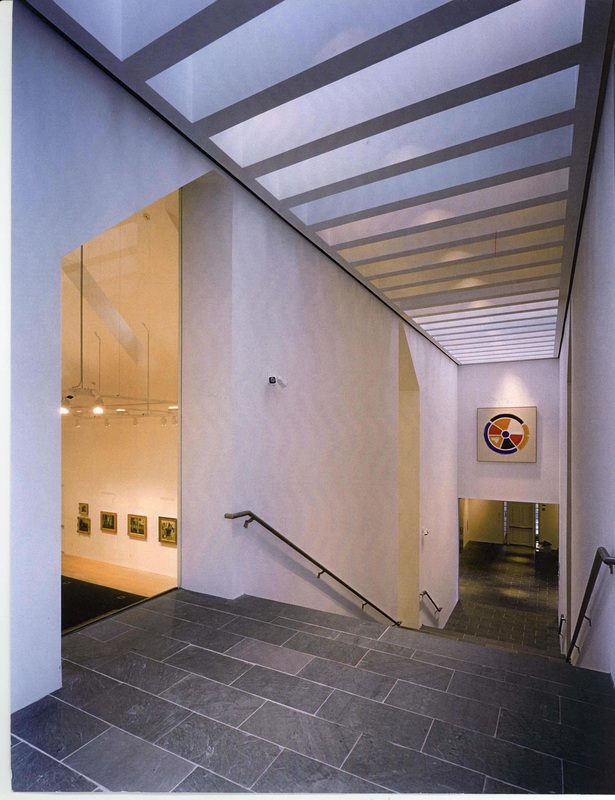 In this instance, the architect as charged primarily to design an art gallery. 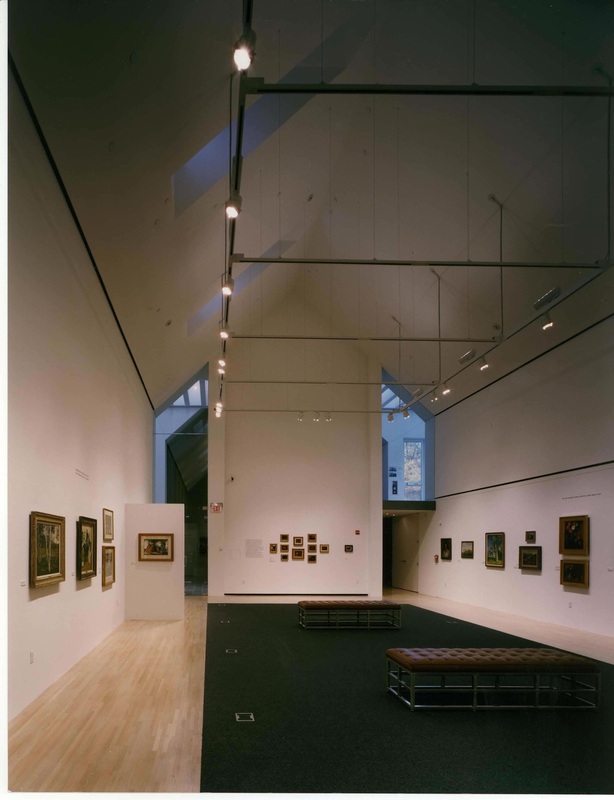 Not only was this space meant to house the center's own important collection but also to offer suitable galleries for traveling exhibitions as well as shows that the center originated. 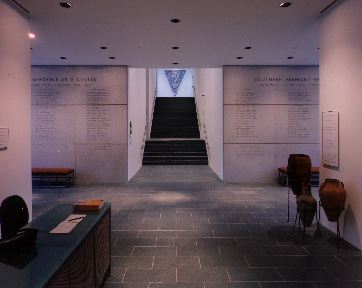 The two larger galleries are sited one-half a level above the entry level while a third gallery is planned to meet at the top of the monumental stairs. The exterior clapboard skin is a cement product that is low-maintenance yet respects the local vernacular and serves well throughout the severe winters normal to the area. Regional architecture is deliberately reflected in the form and interplay of the various functions housed in each pavilion. 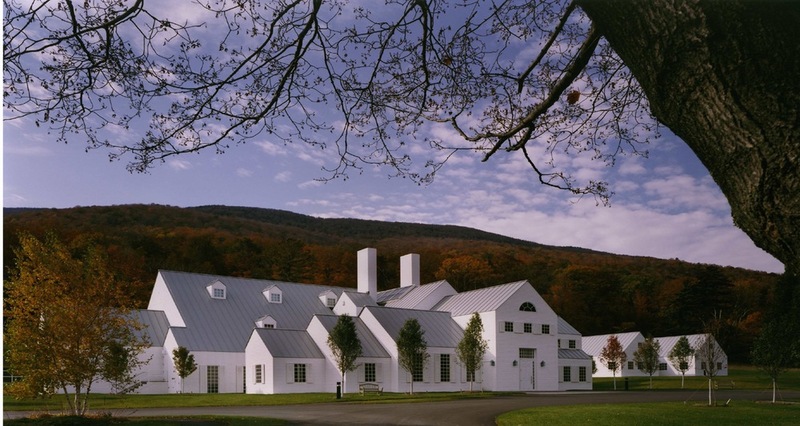 The second and planned-third levels climb the site (part of Mount Equinox) and reflect its surrounding architecture. Two separate pavilions, not shown on the plan (right) but indicated in the site plan (left), house painting studios playing a vital roll in this regional gatherings of the arts. 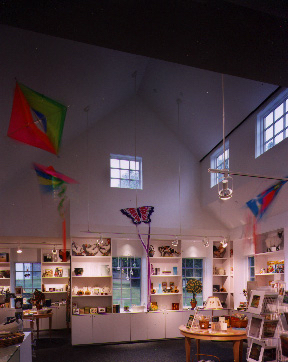 Published: Stratton, Fall 2000: 44-50; Art & Antiques, June 2000: 44; Vermont News Guide, July 19, 2000: cover, 22; Washington Post, Aug. 26, 2000: C1, C5; Architectural Digest, November 2002: 56.